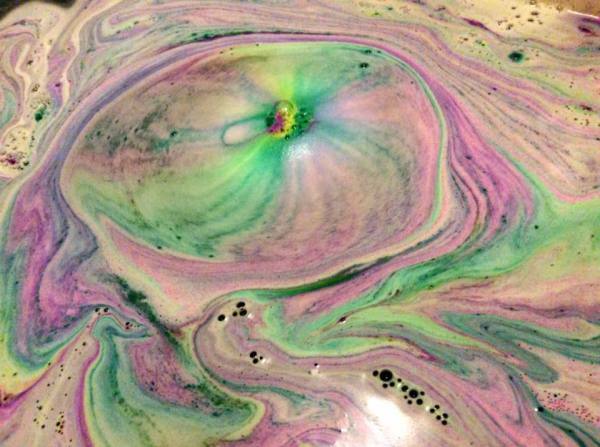 What are bath bombs? Do they explode? Are they weapons of mass destruction secretly disguised as bath goodies? Well, I assure you they’re not. They’re quite cute and nifty, if you ask me. 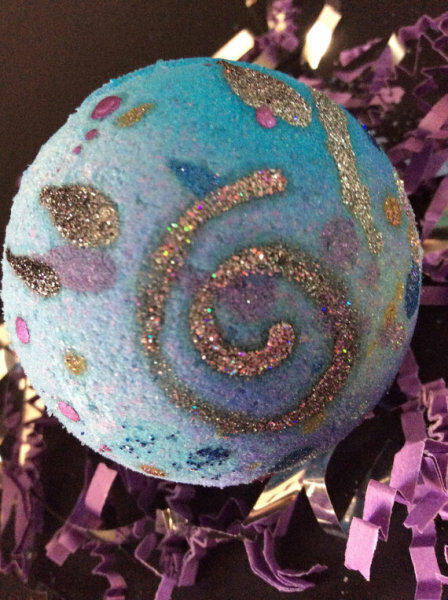 Bath bombs are shapes or balls which fizzle and spin when placed in water, and they produce bubbles, some even color your bath water! 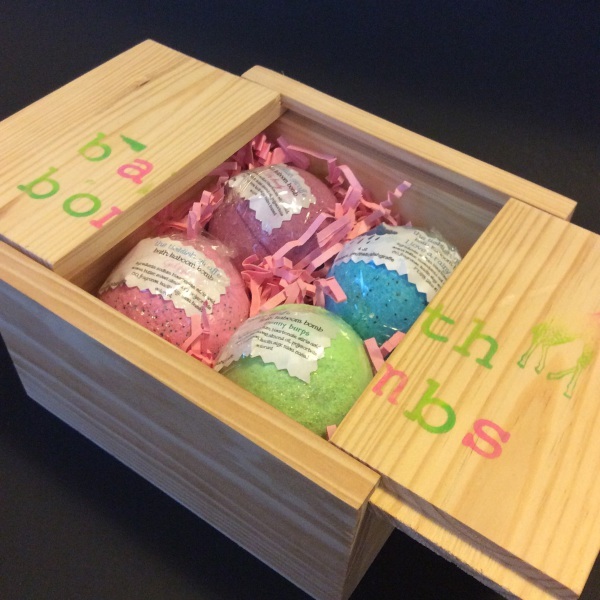 Our bombs, called tubby tornados™ are a bath time treat! Loaded with natural oils and butters and skin softening ingredients. Scents from the beautiful to completely quirky. Fall in love forever with a festive blend of sparkling champagne, crystal peonies & almond crème. Top Notes of Sparkling Champagne, Twinkling Star Fruit, Golden Quince, Middle Notes of Peonies, Freesia and bottom notes of Amber, Almond Crème, Sugared Sandalwood an Velvet Musk. 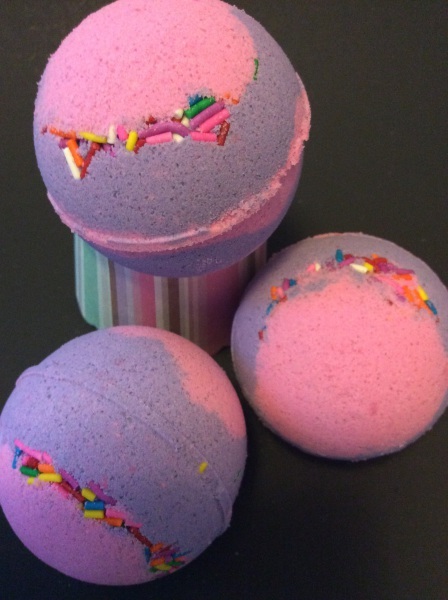 A cocoa butter and sweet almond oil bath bomb scented in a scrumptious dessert confection of buttercream vanilla ice cream and crushed almond; hints of chocolate cookie dough add a rich undertone to this gourmand scent. Sweet, rich yummy top notes mixed with bottom notes of crunchy bakery goodness. makes you wanna kiss my sweetcheeks! 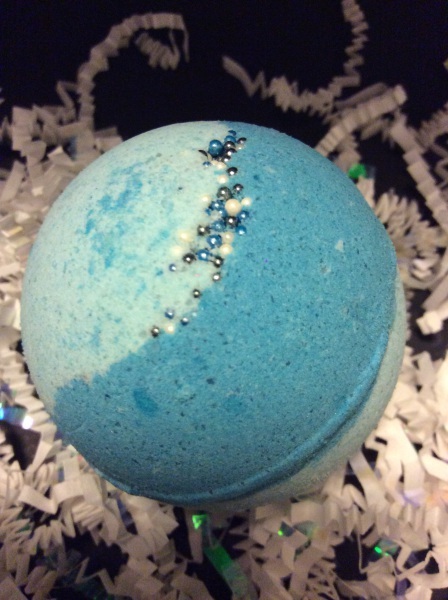 Galaxy blue cosmic bath bomb is your escape from this world. Made with organic cold pressed hempseed oil it nurishes your mind and body. 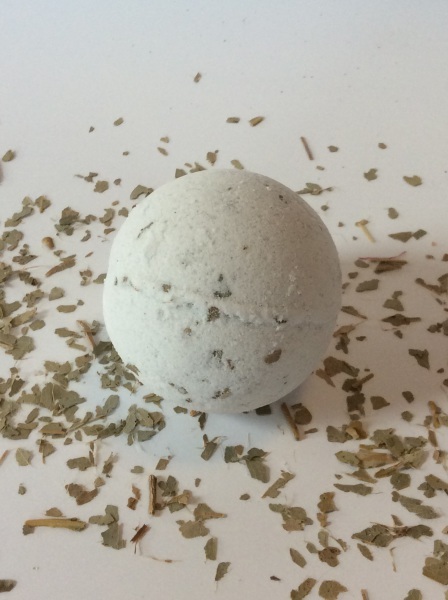 Get your sniffer in order and relax in this eucalyptus bomb. A cool, crisp blend of camphor, eucalyptus, and mint with eucalyptus leaf. 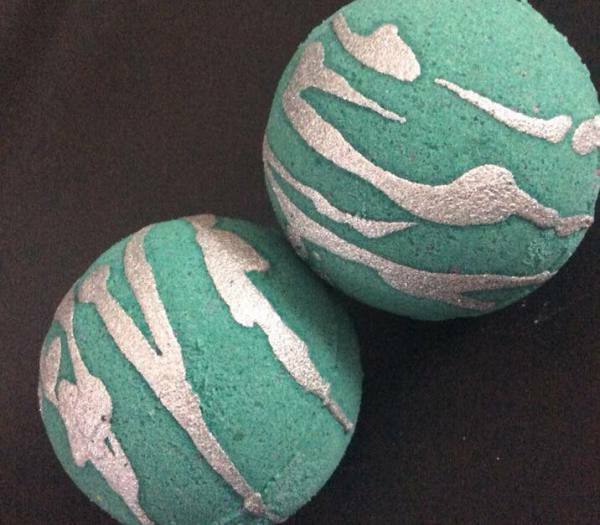 sink into this color changing Luxury bomb, with shimmering forest tones of fern and green clover balance with a soothing floral blend to create this soft luxury scent. Jasmine and lavender are warmed with rich woods and sweetened by a base of vanilla musk to create a fresh outdoors sensation. Website best viewed with a glass of wine and a dog on your lap.